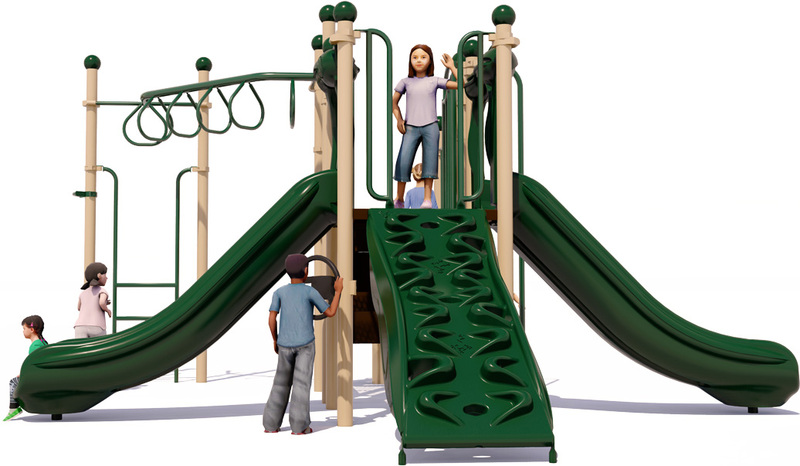 Word to the wise is that this play structure packs some serious fun for kids aged 5 to 12 years. 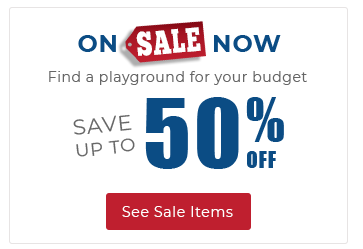 The Word to the Wise commercial playground features almost everything a child needs for outdoor adventure. The 90 Horizontal Hoop Ladder tests a childs ability to sustain their body weight with their arms and works on hand and eye coordination with this angular climb activity. 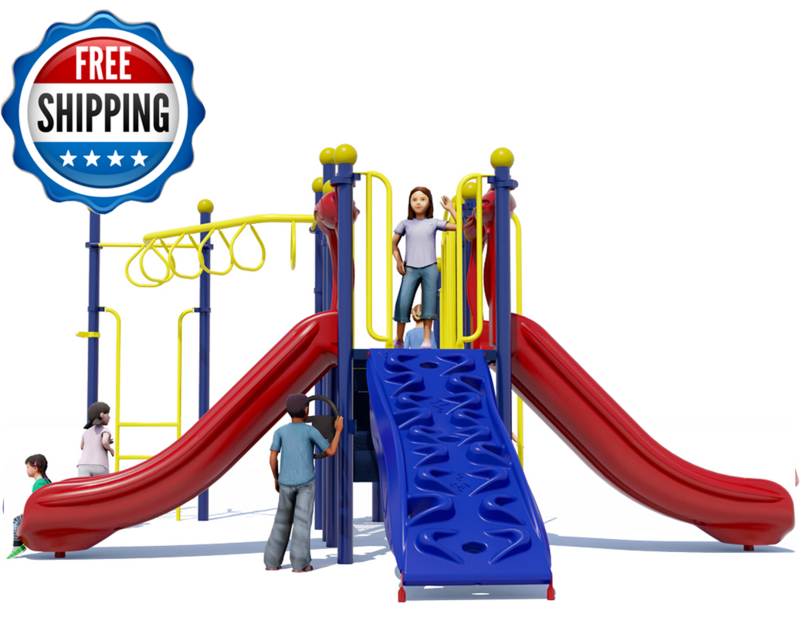 The Firemans Pole Climber offers a combination of climb-up and slide-down, and repeat (its fun!). A challenging Apex Climbing Attachment (which simulates a rock wall). A 90 Horizontal Hoop Ladder to test their angular climbing ability. 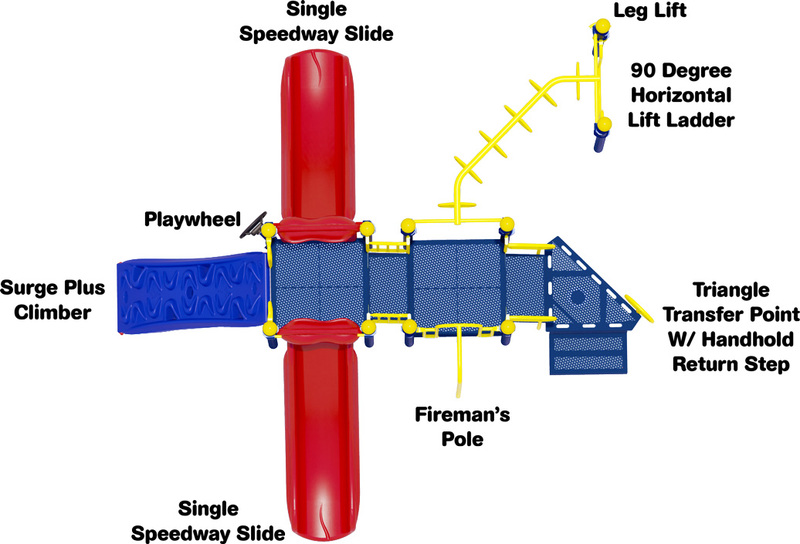 A vehicle Playwheel to engage imaginative play (at ground level). 12 gauge galvanized upright posts are 3.5 in diameter. All other metal pipes, rungs, loops and rails backed by a limited 50 year warranty. 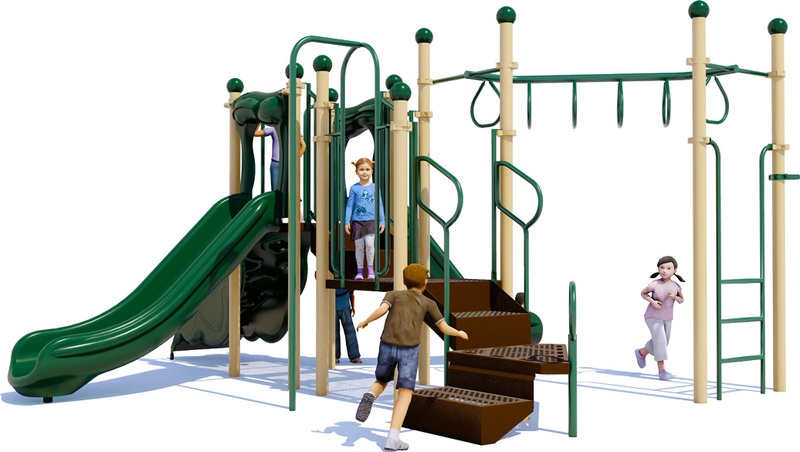 3 Climbers, 2 Slides, Playwheel, and More!